Accumulated waste material is one of the biggest hazards that threaten the equilibrium in nature. This waste contains materials that can be easily tossed in the recycling container. Different materials have different decomposition duration; hence, it is imperative to incorporate all these differences together in order to get a recycled product. Figuring out what to recycle is somewhat tough, when you are not aware of the material. 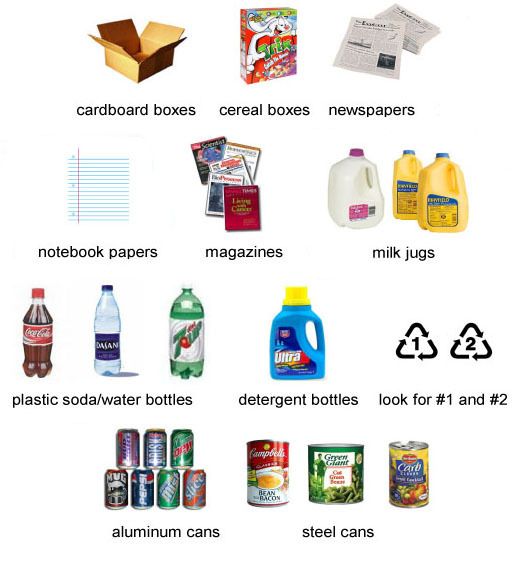 However, with the following list, you will have a better idea about what needs to be in the trash and what goes in the recycling bin. Glass, aluminum and plastic: Aluminum, plastic and glass, will not degenerate on their own. These need to go through an extensive recycling or incineration process. The biggest advantage of recycling these is energy conservation. Wine corks and bottle caps: The amount of wine corks and bottle caps sold in a year, equals a small nation’s population. Hence, it becomes extremely important for wine makers and packers to ensure that corks are not freshly made, but are recycled. You will find many shops, which have special recycle bins where you can toss your wine corks or bottle caps. Wood and paper: Figures related to wood and paper wastage is enormous; and to maintain the ecological balance in nature, it is necessary to recycle paper and wood as much as possible. In fact, recycling of one edition of the Sunday brunch newspaper can actually save more than 75,000 trees. Although it is true that once recycled, the quality of paper will deteriorate, it can always be used to make cardboard. Similarly, after wood has been recycled, it can be used in wooden boards. Cell phones: If you have just changed your phone, then do not throw the old phone away and simply send it for recycling. There are many cell phone companies that have started recycling phones so that the scraps can be used for rebuilding other models. Packaged and packaging material: Things like chocolate, cakes, pastries, and many more items are wrapped in paper or aluminum foils, and these are the things that constitute more than 20% of the garbage that comes from different households. The packages and packaging material can be easily put in the recycling bin, rather that the black bag. 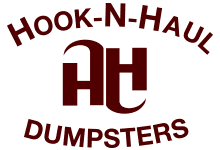 Clothes, diapers and lingerie: Creating recycling bins for diapers is the right thing to do to ensure that your garbage man does not have a fit, while sorting out the garbage at a landfill. On the other hand, you will find many organizations and companies who collect different types of lingerie to be redistributed in various third world countries. When it comes to recycling of clothes, the options are simply endless. If you do not want to recycle your old clothes, then reuse them as kitchen towels or donate them to the less privileged. Motor oil: Every quart of motor oil wasted has the capacity to pollute more than two gallons of water. Hence, it becomes imperative to recycle and reuse motor oil as and when possible. Cosmetics and skin care: This category of products is the hardest to recycle as 90% of the cosmetics and skin care containers are made of hard plastic. Having said that, it is still necessary to create a recycle bin for these as the amount of plastic accumulated at the landfill would otherwise become enormous. Also, the chemicals found in creams and skin care products can easily contaminate the water around, and can also react with the soil in the landfill. All this material can be easily recycled with the help of shredders, compactors, and balers made by companies like Northern California Compactors, which will help to create a cleaner and healthier environment.